Economic, easy to install and built to last, Taurus shingles are available in wood, ceramic, asphalt or fibreglass. 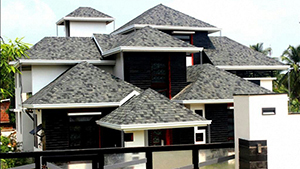 Crown your house with the fantastic shingles and keep your home cocooned from the effects of rain, hail and snow. 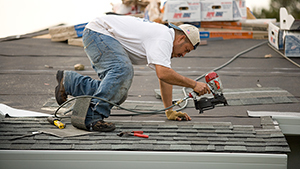 Our roofing solutions not only give you the best shingle installation but also careful maintenance. Our services make sure that your shingles are taken care of from time to time so that the harsh conditions of the weather cannot wear their lustre out. 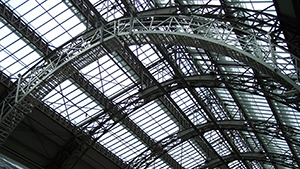 Shingle roofing may be laid over concrete roofs or based on V boards over Truss Work. At Taurus, we have specialists for both technique who are trained to work according to the design and instruction of the architect. 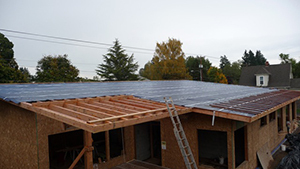 If you prefer installing V Board for your shingles roofing, we are not only equipped with experienced labour who know the job in and out but we also, are proud distributors of V BOARD. 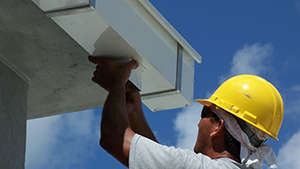 We provide the most effective rain gutter system for your roofing solutions which can be installed seamlessly along your tiles and wouldn't allow any roof leakage.